Give it to Spielberg for really knowing how to fill out the roles of a movie. After casting Ansel Elgort and newcomer slash YouTuber Rachel Zegler as Tony and Maria respectively in his remake of West Side Story, Spielberg has decided to grace his audience with some respectable hunks to play the movie musical’s supporting characters. Per Deadline, Spotlight and Broadway’s (remember the Shrek musical?) 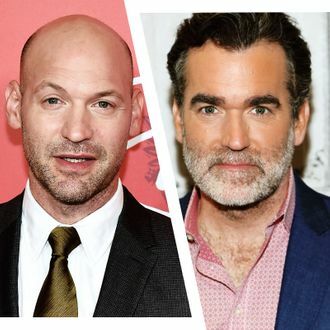 Brian d’Arcy James will play Sergeant Krupke, subject of the bop that is “Officer Krupke.” Corey Stoll, a.k.a. First Man’s sassy Buzz Aldrin, will play Lieutenant Schrank, who tries to keep the Sharks and Jets in check. The movie has a new script from Tony Kushner and will also star Rita Moreno in a role created specifically for her; Ariana DeBose as Anita; David Alvarez as Bernardo; and Josh Andrés Rivera as Chino. Anyway, make them dance!